Cassandra Prpich, BVSc, MANZCVS (SAIM), DACVS-SA, ACVS Fellow, Surgical Oncology was born and raised in Melbourne, Australia. She attended the University of Melbourne, where she completed her bachelor’s degree in veterinary science, graduating on the Dean’s Honors list in 2008. She completed a 12-month small animal surgery internship at Southpaws in Melbourne, Australia followed by a small animal rotating internship in a busy referral hospital in Melbourne. In 2013 she completed a three-year residency program in small animal surgery at Southpaws. While completing her surgical residency in a very busy private practice setting, she also sat examinations for and achieved membership to the Australian College of Veterinary Scientists Internal Medicine Chapter in 2012. She is one of only three Australian surgeons to have achieved this, which demonstrates her dedication to providing the very best care to all of her patients. Dr. Prpich then became a Diplomate of the American College of Veterinary Surgeons in February 2014 after passing the examination on her first attempt. Having been trained by an excellent surgical oncologist during her residency, Dr. Prpich gained a true passion for surgical oncology. She applied for and was accepted into the prestigious one-year surgical oncology fellowship at Colorado State University, which she completed in June 2015. Dr. Prpich regularly gives continuing education lectures to referring veterinarians and has published and co-authored numerous journal articles. She is also an author of the Veterinary Surgical Oncology textbook. While she has additional training and expertise in surgical oncology, she enjoys all facets of surgery. She has a strong interest in minimally invasive surgery, specifically arthroscopy (evaluating and treating joint disease with cameras and instruments inserted through small incisions), laparoscopy, and thoracoscopy. 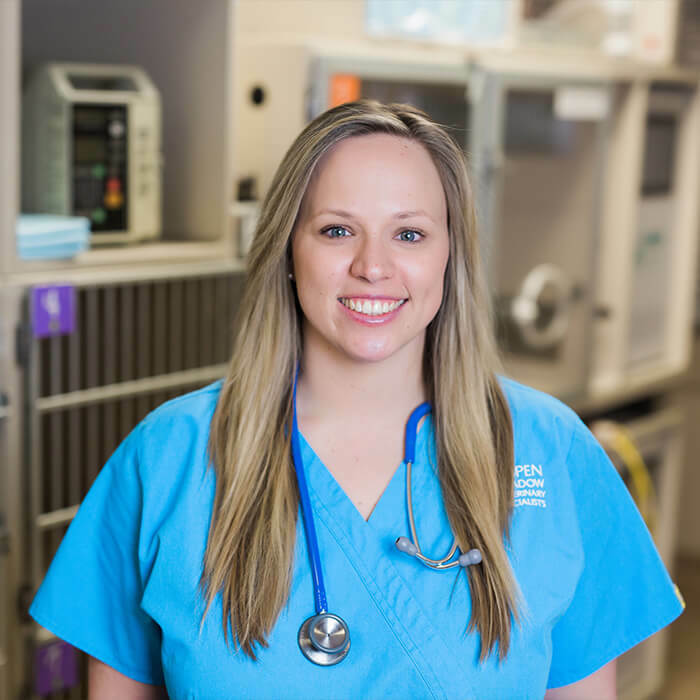 She has extensive experience treating dogs with cranial cruciate ligament disease and has performed hundreds of TPLO surgeries with excellent outcomes. She thoroughly enjoys educating her clients about different disease processes so that they can fully understand all of the treatment options available. When Dr. Prpich is not at work, she enjoys spending time in the great outdoors with her husband, two dogs, and two kids. They are avid snowboarders and enjoy camping, hiking, fly-fishing, and cycling.